The sunflowers blooming in our backyard always remind me of Vincent Van Gogh. 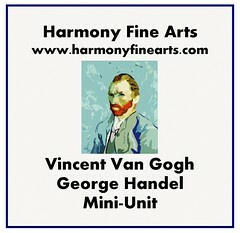 In fact, one of the varieties that we grow is called Van Gogh. Once these sunny beautiful flowers start to blossom, I schedule an afternoon to sit in the garden and paint. It must be that time! As part of our Summer Art Study, we took a look at a website with all of Van Gogh’s sunflowers paintings. With the sunflower paintings on that website, there are also two quotes that would work well on a notebook page as copywork. There is also some information on Wikipedia: Van Gogh Sunflowers. Vase With Twelve Sunflowers, Van Gogh. 1888. Oil on Canvas. Feel free to use the notebook page if you need some help getting started with your Van Gogh study. Use colored pencils to color in Van Gogh’s Still Life: Vase With Twelve Sunflowers. Copy a quote or write about what you see in the sunflower paintings. Pick your favorite sunflower painting. 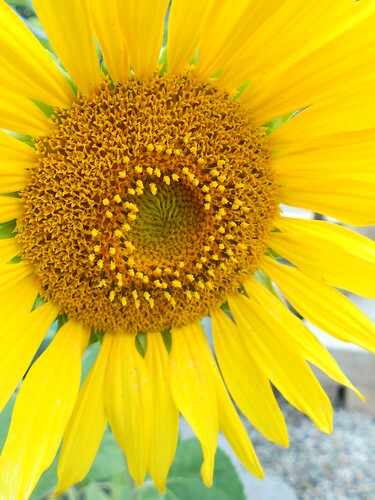 Afterward, be inspired to paint your own sunflower with watercolors or acrylic paints. Paint your flowers in the garden or in a vase like Vincent Van Gogh. Make sure to give your painting a title. All of our Summer Art Study paintings and notebook pages are pinned on my Summer Art Show Pinterest Board. There are sunflower nature study challenges in the Garden Flowers ebook ( Also, I have a mini-unit that features Van Gogh if you would like to do a special summertime artist and composer study.